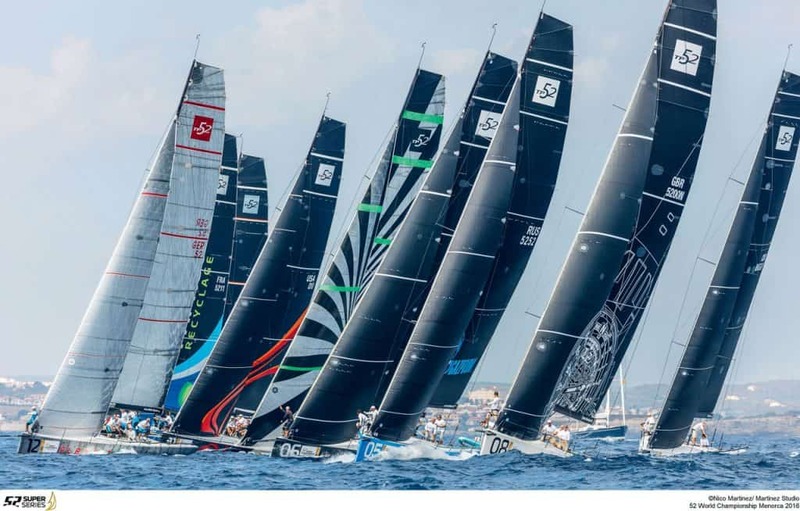 TP52 Series organisers love to point out this competition is the world’s strongest yachting event – other than the Volvo Ocean Race or America’s Cup – that only take place once every few years. This year, with mono-hulls comeback to AC, TP52 has been given a new impetus, just in time for the 7th season, starting in May (23 to 27) off the coast of Šibenik, hosted by the local D-Marin Mandalina yacht harbor. A month later in June (20 to 24), the race will travel to D-Marin marina at Sukošan. Nine new yachts and crews are expected in Croatia according to the announcements of the organizers – among them a lot of big names who wrote and are still writing the history of racing, such as Sir Ben Ainslie, Robert Scheidt, Terry Hutchinson, Ed Baird, Jordi Calafato, John Kostecki, Francesco Bruni, Vasco Vascotto, Santiago Lange. The Croatian side of the Adriatic has not seen such impressive guest list since the RC44 Class series off Rovinj or the golden days of the ACI Match Race Cup. ‘I am sure that the coming season will be the greatest so far for TP52, America’s Cup is on everyone’s minds’ says Francesco Bruni, Italian skipper with a remarkably extensive experience in the oldest world sailing competition. As TP52 is an owners-helmsmen’s class – the yachts are under command of their proprietors and other crew members are professional sailors – this means that exactly 13 big global businessmen will personally lead their boats. They are as helmsman of Alegre, Andrés III Soriano, scion of the most influential business family in the West Pacific (his grandfather Andrés I Soriano established the San Miguel Brewery, the biggest in the Phillippines, and was among the founders of the Phillippine Air Lines). Andrés III Soriano is a member of the prestigious Monaco Yacht Club and a frequent participant of various sailing races; the 2014 world champion in the Mini-Maxi Class (S/Y Mills), in the TP52 Class since 2015. His tactician is Andy Horton, an American match race specialist. Azzurra, along with Quantum Racing, is among the rare yachts to have won the Super Series three times: in 2012, 2015 and 2017. The owners are the Roemmers family, owners of Argentina’s largest pharmaceutical company. Really big news in this year’s series is the comeback of Santiago Lange, the famed participant in the Rio de Janeiro Olympics. At 54 years of age, Lange was a gold medallist in the Nacra 17 Class and the Rolex skipper of the year – all while fighting for his life. Lange beat cancer, but lost half of his lungs. What a story! ‘It was quite natural to invite Santi, he’s an Argentinean, we share many cultural features, so that he perfectly matched the crew. Ashore, he’s an easygoing person, but in the course of the race he is very competitive, hungry, eager and capable of winning. Russia’s representative in the TP52 Series is Bronenosec, a Gazprom supported crew also racing in the RC44 Class, lead by Vladimir Ljubomirov, St. Petersburg YC commodore and a strong promoter of sailing in his country – not an easy job, because rich Russians prefer to invest in more popular sports. The British crew of the Gladiator have all ingredients necessary to reach victory: the team is supported by millionaire Tony Langley, and the key member of the crew Sir Ben Ainslie, the most successful Olympic sailor, with four golden and silver medals. After such an amazing career, Ainslie started an America’s Cup syndicate, but lost in the Louis Vuitton Cup semi-finals in the Bermuda waters against the overall winner, Emirates New Zealand. He has already announced his crew participation at the 2021 Auckland Land Rover BAR, so the Adriatic Super Series will be practice. ‘The mono-hulls comeback in the America’s Cup has turned the TP52 class an ideal preparation environment to master our fitness for Auckland’, said Ainslie, seeing how most of the Gladiator crew will be recruited for the AC too. Obviously, nothing has yet been decided. In Šibenik, Zadar and Auckland Gladiator will go against the all-new Luna Rossa, a debutante in this competition also eager to prepare for the AC, as they are the official challenger. Unsurprisingly, the owner of the yacht is Patrizio Bertelli, CEO of the Prada Group, a dedicated sailor who formed his first AC team back in 1997 and in 2012 was the first Italian to enter the America’s Cup Hall of Fame. Other great names in his team are Francesco Bruni, former participant in many AC campaigns, and Vasco Vascotto, who has collected 25 world titles in various classes. Luna Rossa is using the TP52 series to train about 30 young Italian sailors as a basis for America’s Cup team selection. Along with Gladiator, with Sir Ben Ainslie, another team lead by a super-skipper is Brazilian Onda, whose helmsman is Robert Scheidt, also (just like Ainslie and Grael) the winner of five Olympic medals, as well as 12 world champion titles and 120 victories in his glorious career. Despite having recently celebrated his 45th birthday, this living legend who has last year said goodbye to Olympic sailing still has a lot of love for sailing. He tried his luck on bigger boats on several occasions, but his fascination with Olympic sailing prevailed. ‘I love sport, I love sailing… it’s the race adrenaline that keeps me feeling alive’, says Scheidt. While Gladiator, Luna Rossa and Onda are manned by super-stars, the Paprec Recyclage crew is composed of teachers, doctors and supermarket managers – and obviously skilled sailors ready to tackle any professional team. The owner is Jean Luc Petithuguenin, founder of the Paprec recycling and waste managing company. Phoenix is a project owned by Hasso Plattner, co-founder of SAP, a company that has for years been around sailing as software provider and designer of live coverage applications. Mr. Plattner is also passionate about ice hockey – he is the owner of the NHL team San Jose Sharks. Another German, Harm Müller-Spreer is the reigning TP52 champion and a threefold Dragon Gold Cup winner, who is sailing with two very skilled crew members – American John Kostecki, winner of the 2002 Volvo Ocean Race, and Catalan Jordi Calafat, 1992 Barcelona Olympic champion in the 470 class. 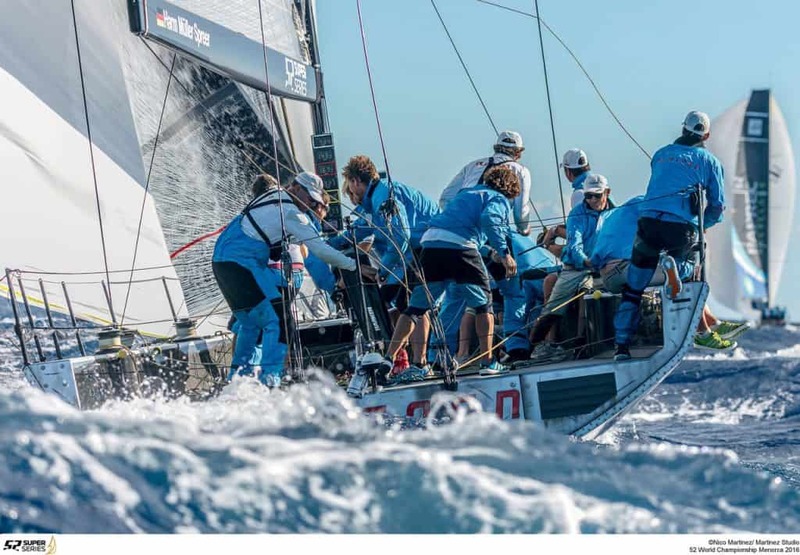 Turkish businessman Ergin Imre is the owner of Provezza, the only yacht that has been competing continuously since the establishment of the Super Series, while the Sled crew joined in 2014 and Xio Hurakan returned after two missed seasons. Last but not the least is the Quantum Racing, triple TP52 SS winner, also preparing for the America’s Cup. The owner of this vessel is Doug DeVos, whose father was a co-founder of the gigantic Amway Company. The family also owns the NBA team Orlando Magic.